Just like I’m a tray whore, I’m a tinsel whore. I have one large rubbermaid container dedicated to tinsel. Guys, that’s a lot of tinsel. I may even use it so much that some would consider it borderline tacky. 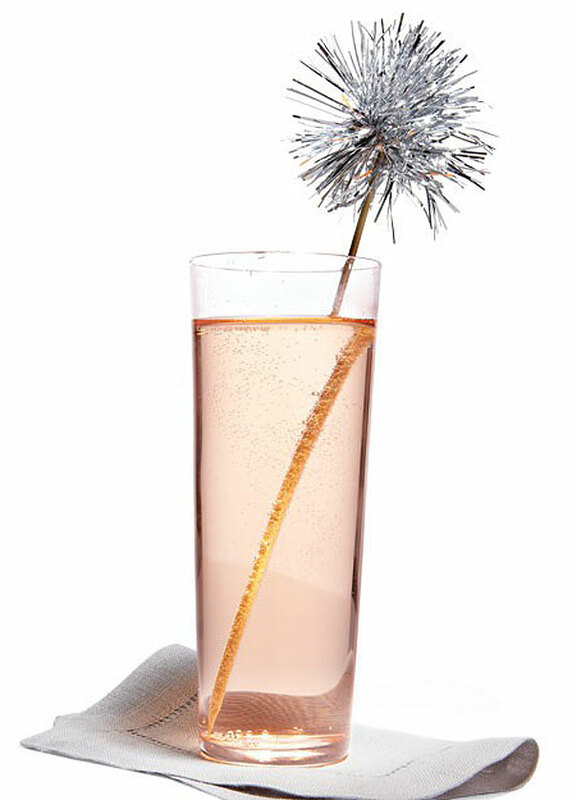 I am in love with this idea of a tinsel stirrer from Camille Styles. It is just too fab. 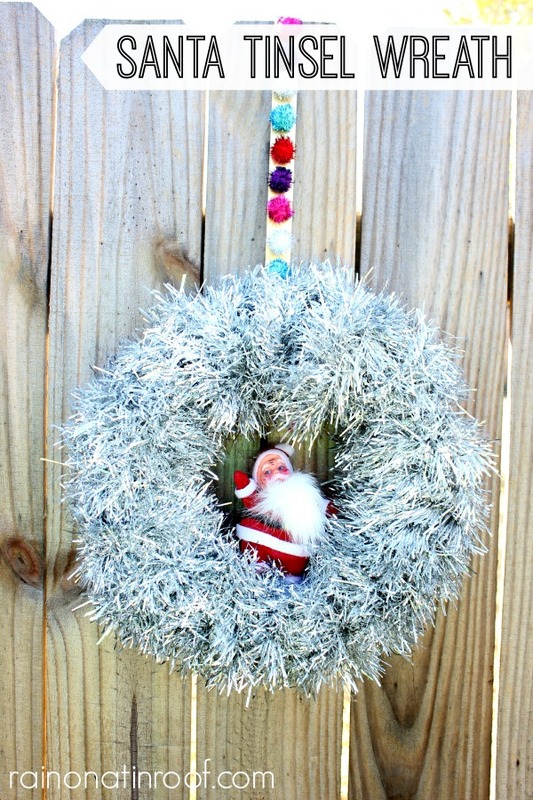 My Santa tinsel wreath is the easiest wreath I’ve ever made. And its the cutest. 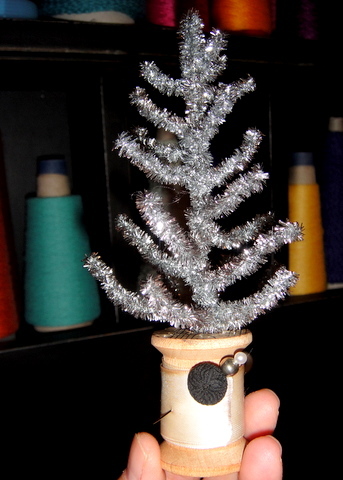 How adorable is this little tinsel pipe cleaner tree from Art and Illumination? 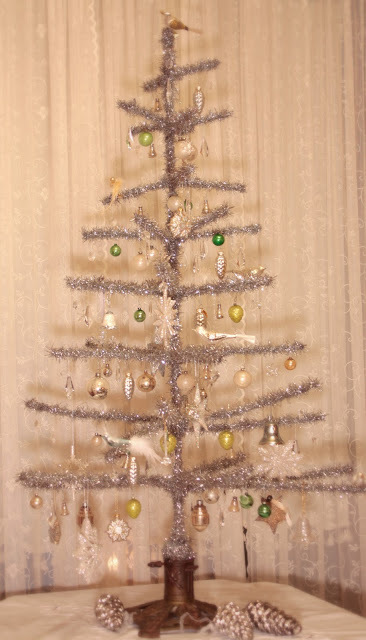 I have always wanted a tinsel or aluminum tree like this one from Bella’s Rose Cottage. And all those vintage ornaments? I die. 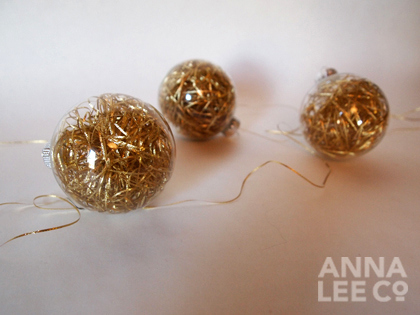 Tinsel in clear ball ornaments from Anna Lee Co. Simple and fun. 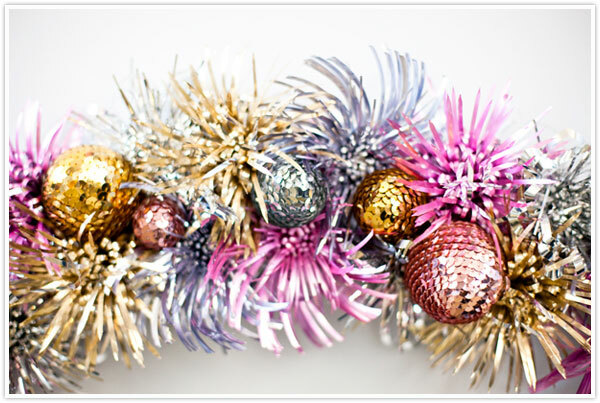 I love the different colors and ornaments in this tinsel garland from Camille Styles. 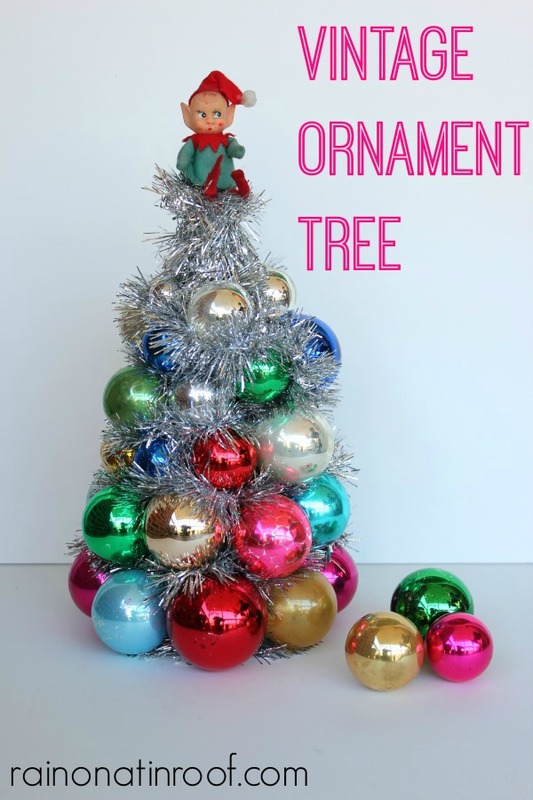 When I realized my ornaments wouldn’t cover all the styrofoam in my vintage ornament tree, I used tinsel to fill in. And I love it. 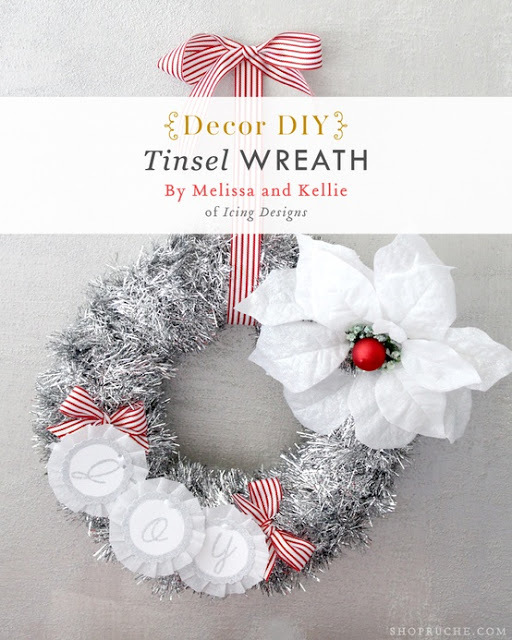 I think the classic white and red against the silver tinsel is beautiful on this tinsel wreath from Icing Designs. 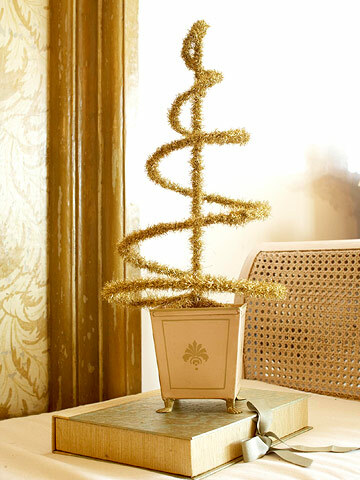 I love how fun this swirly tinsel tree is from BHG. A tinsel pipe cleaner garland? Genius! From In My Own Style. Do you still have tinsel left? 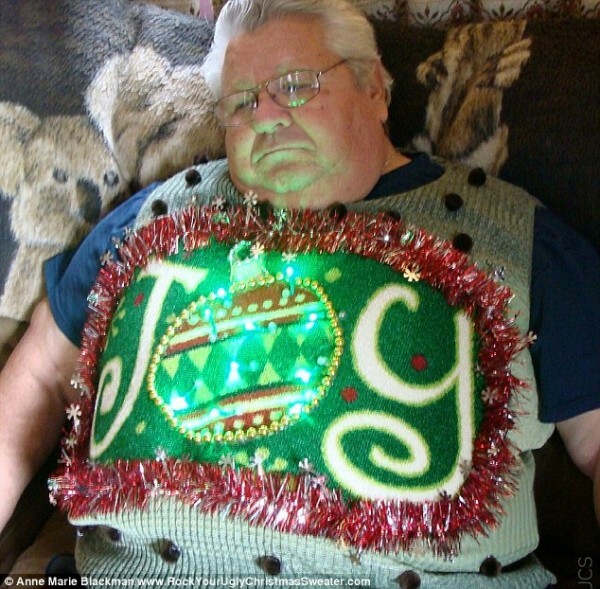 Unless you are going to a tacky Christmas sweater party. Or you are coming to my house to let me laugh at you. Need more Christmas decorating inspiration? Then don’t miss these simple and affordable, yet gorgeous Christmas Decoration Ideas and these DIY Holiday Wreaths! Thank you! I love, love, love that little elf!! Aw shucks I wanted to be first one to tell you my favorite was your elf topper tinsel tree, so darned adorable. I’m going to get some of those tinsel string like things, (can’t think of name of them, senior moment), and try to make some cute stuff with them. At least I can afford those. We get paid the day before Christmas. Actually our payday is Christmas but SS is going to be nice enuf to pay us the day before, hubs and I both get paid 4th. Wed. of month. I know this because I have a friend that works for SS. I used to work there. It helps to have a source and an ally. 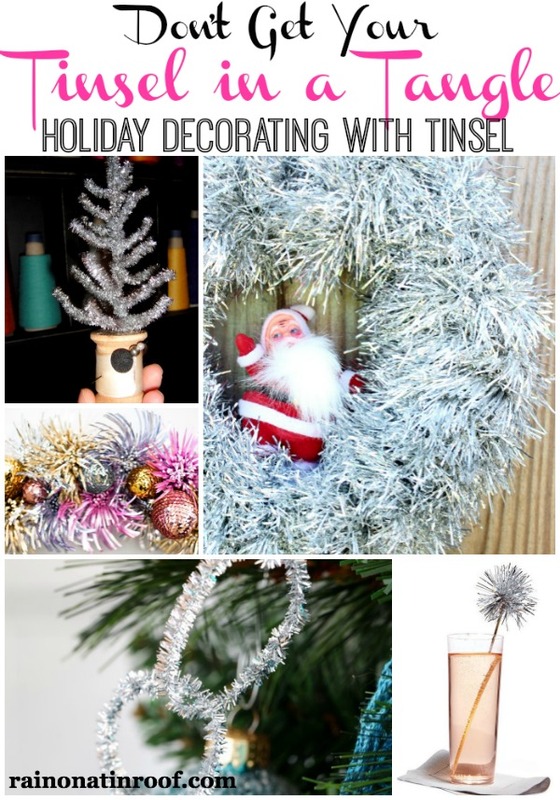 I really enjoyed seeing all the ways to use tinsel. Never thought of some of them. I love your blog, love your sense of humor and honesty. I always enjoy your posts. Happy Thanksgiving. Oh, thank you, JaneEllen!! I love, love, love that little elf! I am a huge fan of all vintage elfs and santas – have never met one I didn’t like! You are too sweet! Thank you! Hope you have a happy thanksgiving as well! lol this was a funny post. I personally am not really a fan of tinsel, but when I saw your facebook post about how you use so much of it that it could be borderline tacky I had to see what your ideas were. haha! I can be tacky at time, Helen! I love those tinsel wreaths! Thanks for sharing this! Thanks, Allyson! I love the tinsel wreaths too! That’s right, Megan! It can be! You are welcome! I just love tinsel! Its fun and cheap! Ah, shiny metallic objects…Yup, I love the sparkle of tinsel. 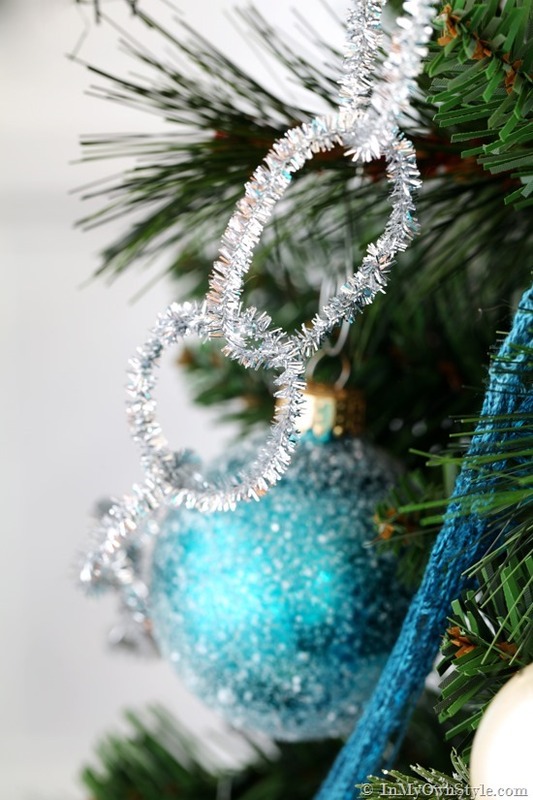 The tinsel pipe cleaner garland is cool, and an easy craft for kids. Isn’t that so cool, Barb!? I have got to do that with my kiddo next year!